Boiler repair South West London? If you are based in South West London and need to choose a reputable local boiler repair company to fix your central heating system, JustBoilers.com are happy to oblige. 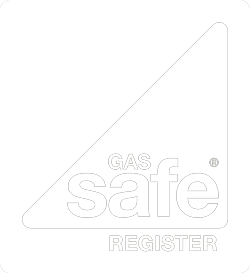 We are a highly skilled and qualified team of professional Gas Safe Heating Engineers who have years of experience in the industry. We always carry out boiler repairs to the highest possible standards and as we are Corgi Gas engineers. We cover London Boroughs such as Westminster, Wandsworth, Richmond Upon Thames, Merton, Lambeth, Kingston Upon Thames, Kensington and Chelsea, Clapham, Balham, Barnes, Hammersmith and Fulham, and Croydon. Ariston, Alpha, Baxi, Chaffoteaux, Danfoss, Everflow, Ferroli, Glowworm, Grundfoss, Honeywell, Halstead, heatline, Ideal, Keston, Main, Potterton, Ravenheat, Vaillant, Worcester Bosch and many more. If we think that your boiler is no longer economical to repair and it is an old boiler for example, then we will provide you with a free quote to install a new efficient boiler. We have very competitive boiler installation prices, and you will get the best engineer in South West London, and London installing your boiler with a remarkably low boiler install cost. If it is an emergency boiler repair or an urgent boiler breakdown in South West London then please don’t hesitate to call us straight away for our honest advice. The cover of the 1977 Pink Floyd album Animals features a pink inflatable pig flying above Battersea Power Station. The story goes that on the day of the photo shoot the nine-metre-diameter pig broke free from its moorings, causing disruption as wind blew it across HeathrowAirport’s flight path.